Today was the Wombats' eight month birthday. 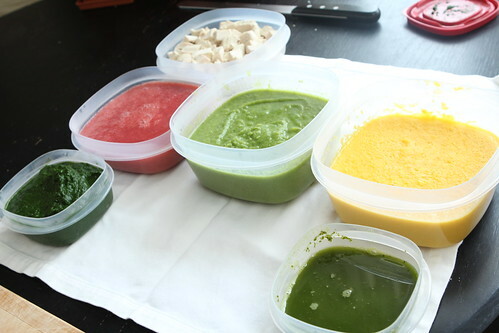 I spent most of the day cooking, pureeing, and packaging up baby food for the freezer. This is a plus because it saves time throughout the week. It is a minus in that we do not have any room at all for anything in our freezer. I'm pretty sure that if we lived in the suburbs we would buy one of those giant chest freezers and just load it up with baby food. Then we'd turn into the people who buy huge amounts of meat and freeze them in advance which would perpetuate a practice of always eating meats that were six to nine months old and actually don't really taste that great any more. 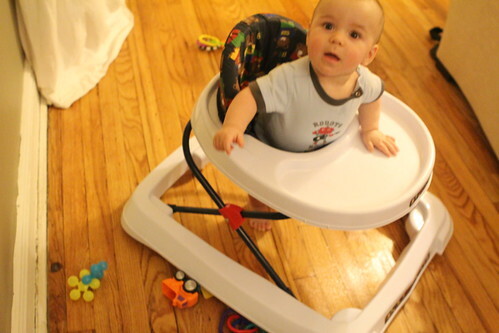 While I wrapped up food preparations the boys played in their walkers. 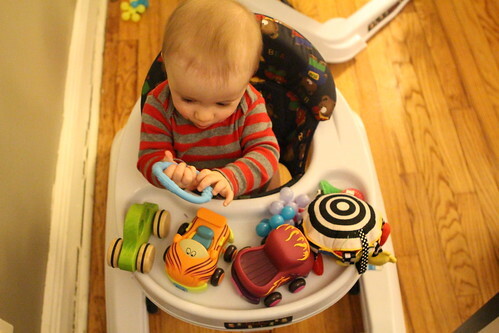 After ten minutes Martin, quite remarkably, still had all of his toys. Elliott had commenced shrieking because he had engaged in the standard Wombat practice of tossing each and every toy onto the floor. 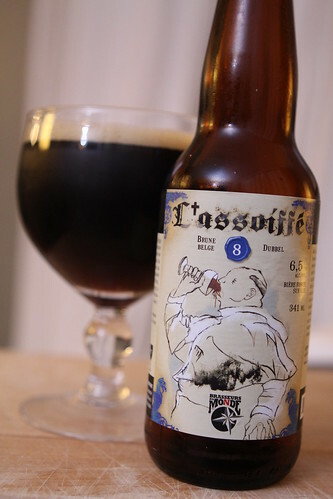 To celebrate their eight months I found the perfect beer, this L'assoiffe 8 from Brasseurs du Monde. 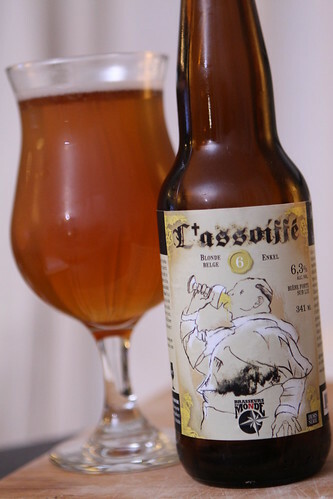 It was brewed in the style of a Belgian Dubbel though lower alcohol than I would have thought at a mere 6.5%. It had an uncharacteristic chocolate and coffee bitterness to it. It was good but not typical of the style. 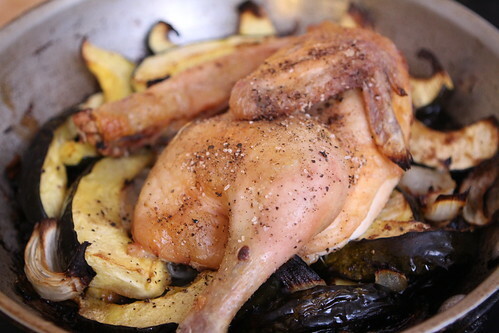 For mummy and daddy I quickly chopped up an acorn squash, some garlic, and onion that I roasted in the pan with a half chicken. Jen enjoyed this L'achoiffee 6 from the same series as the 8 in a late celebration of their six month birthday. 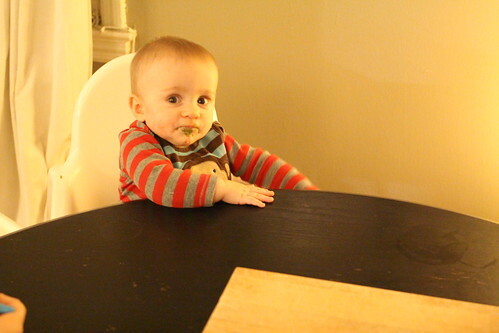 The guys had kale for the first time tonight mixed with apple and rice cereal. I figured plain kale would be a little much for their first time. They actually loved this combination so I felt a little better about feeding them kale on their birthday. This will probably not fly for future birthdays. 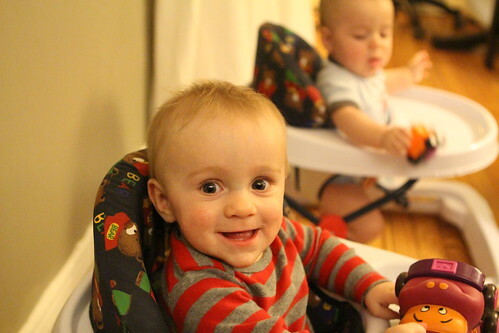 At their eight month birthday Marin is weighing in at seventeen pounds, five ounces. Elliott is tipping the scales at eighteen pounds, twelve ounces. They have both nearly quadrupled their birth weight. I didn't really need to put them on the scale to discover this. I could have just listened to the soreness in my aching back, shoulders, and arms. 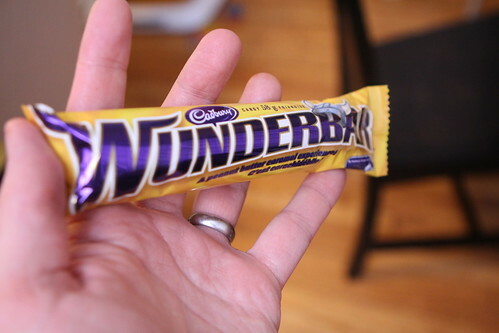 After dinner, with the babies safely tucked in bed, we enjoyed a Canadian candy bar, this Wunderbar. It is the best oddly-viking-themed candy bar I've had this year! 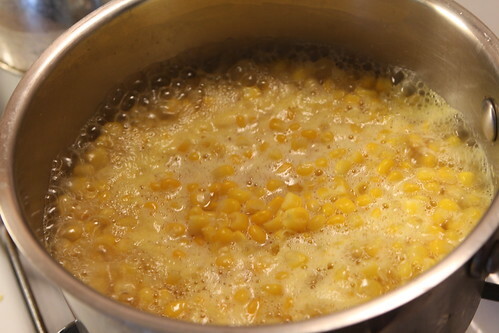 And, as the Norse warriors used to say, "C'est carachidébile!" I know! There's probably a 1:1 ratio of freezer burn taste to meat taste. You need to get that up to at least 2:1. 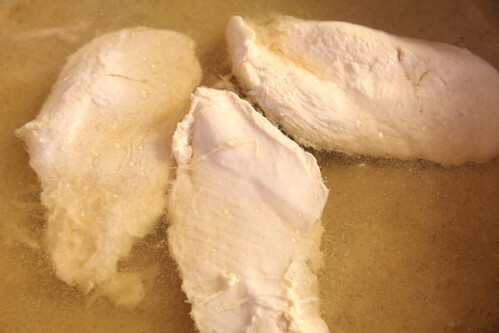 You will learn to package the proteins correctly once you get your new freezer.